Product #16561 | SKU XLXXX-A3046 | 0.0 (no ratings yet) Thanks for your rating! 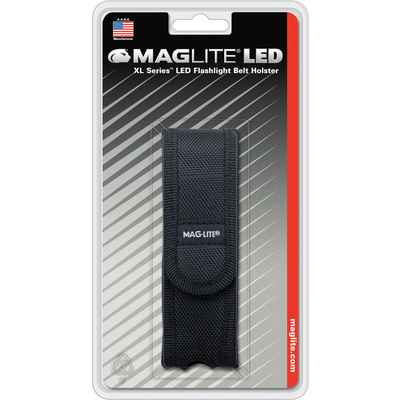 The XL Series Flashlight Belt Holster from Maglite offers a secure and convenient carry option for any XL Series light. Made of tough ballistic nylon that resists tearing and wear, the holster features a snap-lock belt loop. This design allows the holster to be put on, and taken off, without removing the belt. The top flap has a touch fastener for quick access, and ensures the light will stay in place and protected when not in use.